The “Inside Disney Parks” #DisneyParksLIVE stream series returned November 7th to kick off to the Christmas holiday season with “A Frozen Holiday Wish” to turn Cinderella Castle into a glimmering ice palace at Walt Disney World Resort in Florida. “A Frozen Holiday Wish,” features the royal sisters Anna and Elsa. Along with their friends, Olaf and Kristoff, Queen Elsa uses her incredible powers to present a gift to everyone in the kingdom – transforming Cinderella Castle into a glimmering ice palace for the holidays. Check out the video to start off your holiday season with a touch of “Frozen”! The holiday season officially kicks off at Walt Disney World Resort in Florida on Monday, November 7, with the return of Mickey’s Very Merry Christmas Party and the nightly “A Frozen Holiday Wish” castle lighting. Join the Disney Parks Blog as they live stream the first castle lighting of the season on the Disney Parks Blog at 6:25 p.m. EST on Monday, November 7. A fresh blog post will appear at the top of the blog at that time for viewing. To follow along on Twitter, use the hashtag #DisneyParksLIVE. 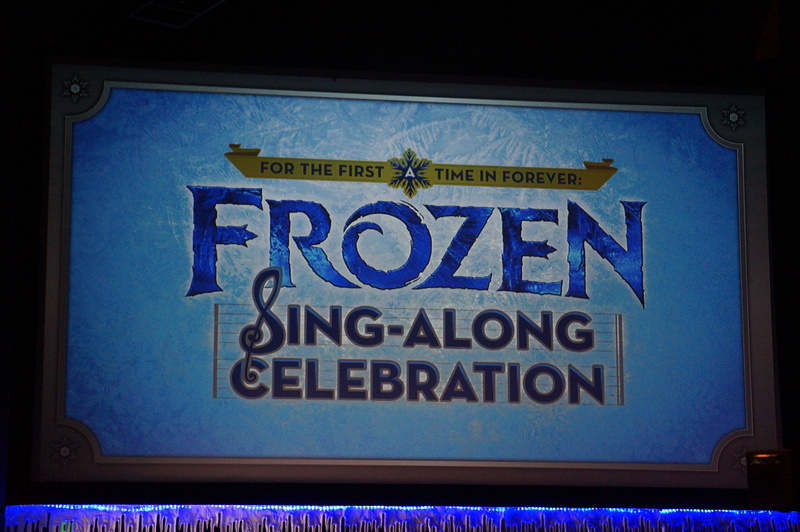 Join us as we sing along at “For The First Time In Forever: A Frozen Sing Along Celebration” at Disney’s Hollywood Studios. This is binaural audio, headphones are recommended to experience the audio the way we experienced it.